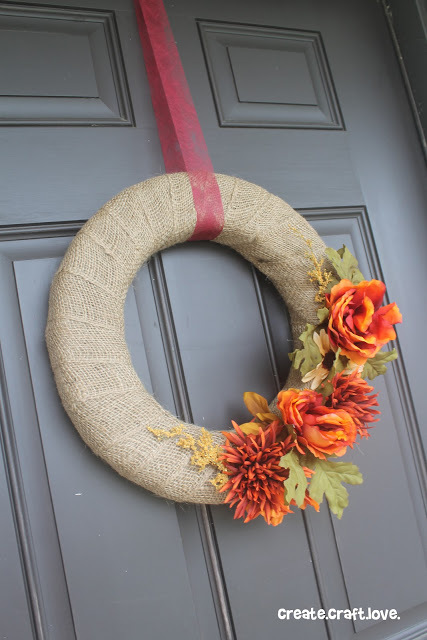 The crisp fall air has begun in my neck of the woods so I thought I’d start off my September posts with 1o Fabulous DIY Fall Wreaths. 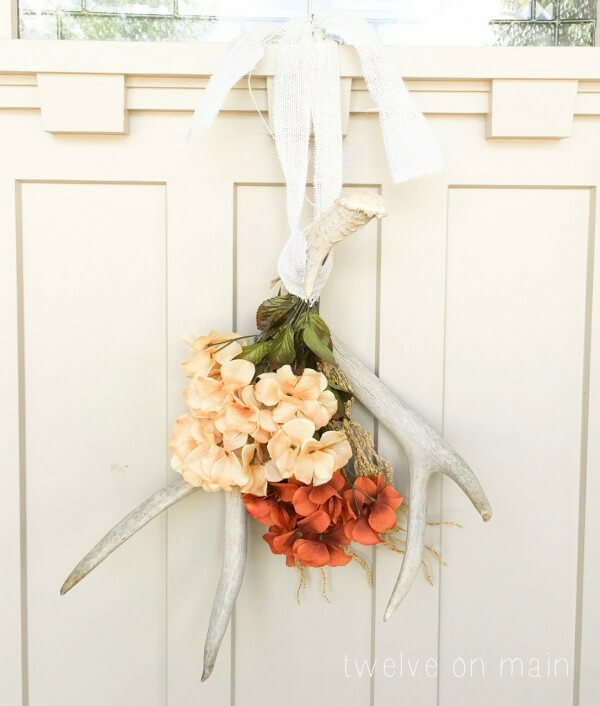 These fall wreaths are easy to make and showcase the best of autumn, all in their own unique way. 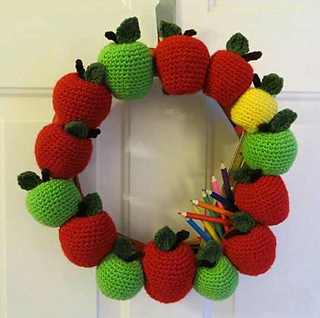 If you make your own fall wreath each year, would you make one of these?? #3 has me intriqued…I’ll let you know if I make one. 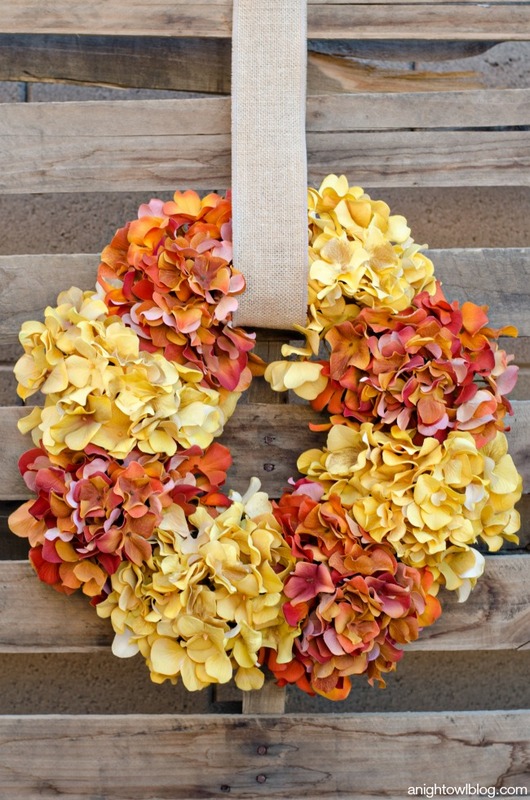 Check them out – 10 DIY Fabulous Fall Wreaths. 8. 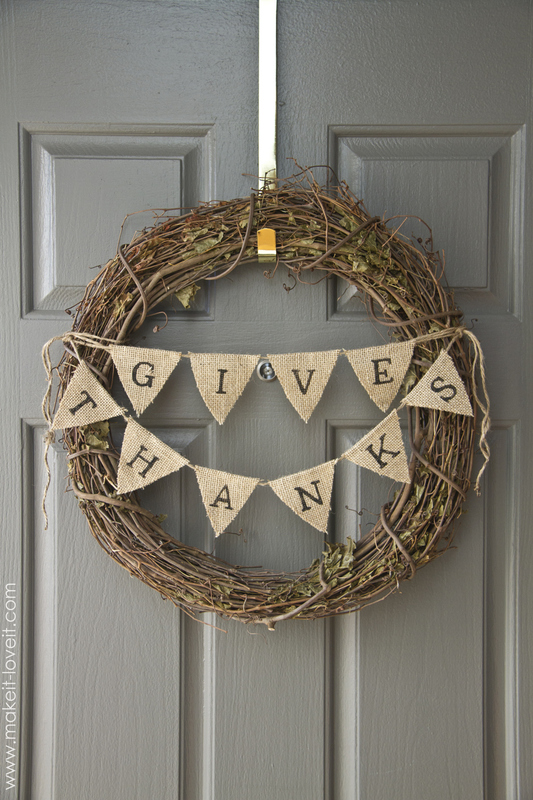 Give Thanks Wreath – using burlap bunting. I love the simplicity of this one, for use indoors or out. Check out the tutorial here. 9. 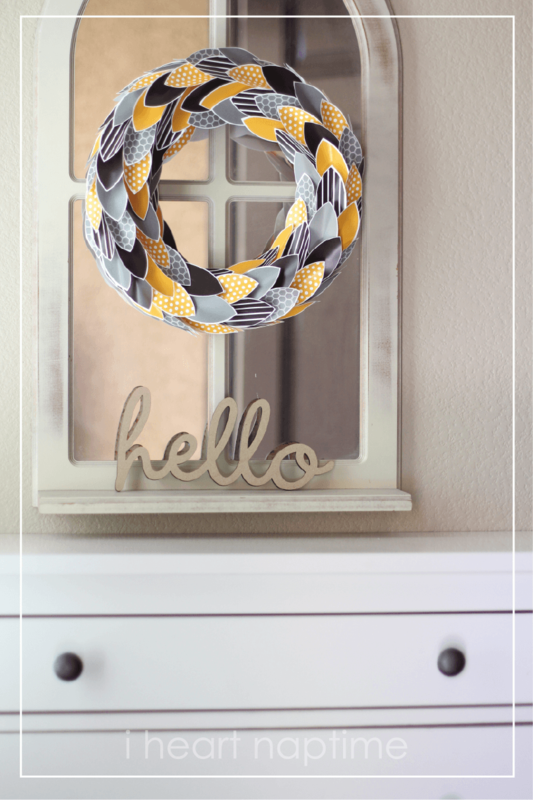 Rake wreath – wow what a great upcycle. 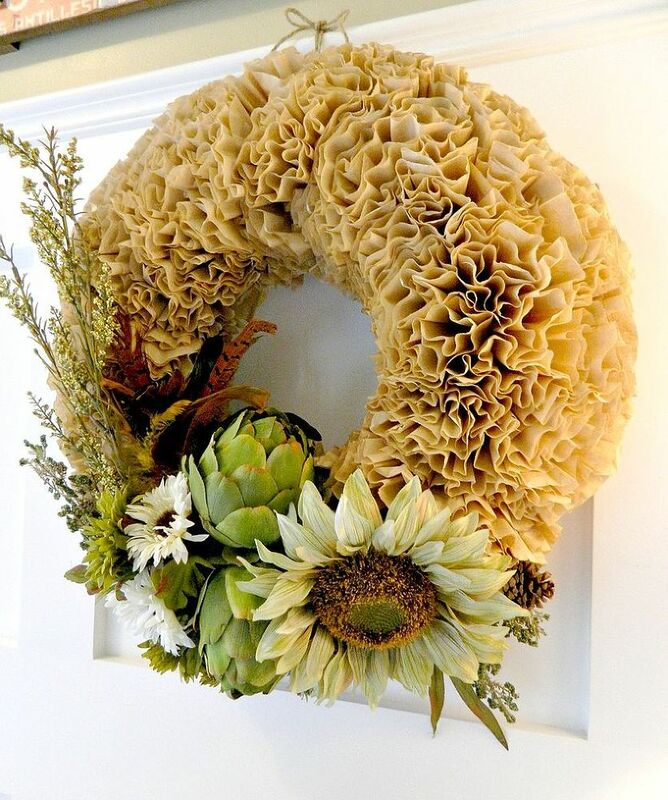 This one was found at Better Homes and Gardens. See post here. 10. Here’s one for those wonderful folks who create with crochet. See the instructions here. 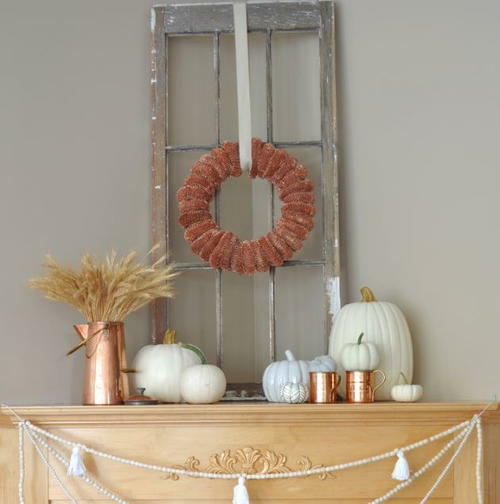 Fall wreaths are A Wandaful Thing! 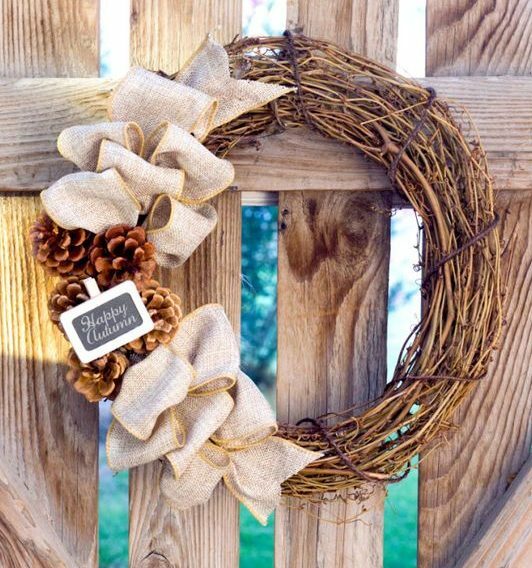 This entry was posted in Decorate, DIY, Make and tagged Crafts, creativity, Decorate, easy, fabulous, Fall, ideas, inexpensive, make, repurpose, reuse, simple, thrifty, upcycle, wreath. Bookmark the permalink. Number 5 is beautiful. My wedding bouquet was paper and brooches. I bet your wedding bouquet was gorgeous, did you make it? My Mom did. With my Nana’s things. So many ideas. Hmmm…which one to do. 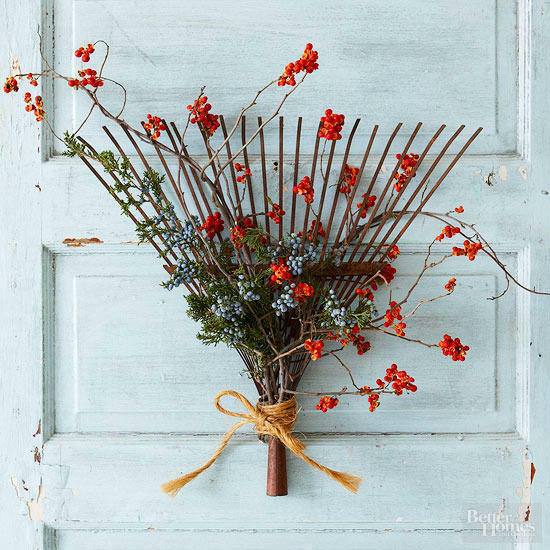 I should be heading to goodwill and looking for graters, rakes (remember the wine holder).